Pièce1991.028 item 179 - Court House, Brampton, Ont. Pièce1991.028 item 180 - Court House, Brampton, Ont. Pièce1991.028 item 181 - A Pleasant view from Queen Street, Brampton, Ont. Pièce1991.028 item 182 - Nelson Street, Brampton, Ont. Pièce1991.028 item 183 - 1146. Elizabeth Street, Brampton, Ont. Pièce1991.028 item 184 - Elizabeth Street, Brampton, Ont. Pièce1991.028 item 185 - Elizabeth Street, Brampton, Ont. Pièce1991.028 item 186 - Post Office and Queen's Hotel, Brampton, Ont. Pièce1991.028 item 187 - Queen St., looking West, Brampton, Ont. Pièce 1991.028 item 183 - 1146. Elizabeth Street, Brampton, Ont. Anglais » 1146. 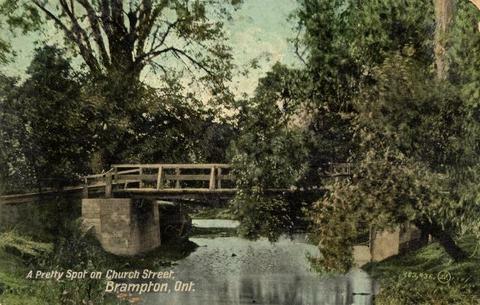 Elizabeth Street, Brampton, Ont.